Tesco have started selling massive buckets of Maltesers buttons, because there’s no such thing as too much chocolate. The glorious tubs contain a whopping 400g of the bite-sized treats, meaning it would take a long time and some real commitment to snacking before you reach in and get hit with the inevitable disappointment you’d feel when they’re all gone. Maltesers buttons were released earlier this year, and for anyone who’s not tried them yet, you’re seriously missing out. If you like Maltesers, the flat, disc-shaped chocolates are a whole new way to enjoy that deliciously creamy yet crunchy taste – and I’d recommend just investing in the bucket straight away so you don’t have to go back to the shop when you realise you have a new obsession. I’m not being biased – a lot of people have been sharing the love for the buttons. I had no idea my favourite chocolate (Maltesers) and my second favourite chocolate (Buttons) fused together! I think the buckets of buttons are going to be in high demand, so you’d better get yourself down to Tesco as soon as possible, because that’s the only place the buckets have been spotted so far! According to the supermarket’s website, they’re selling the 400g containers for just £4, so you could even indulge and buy a couple to make sure you’re well-stocked for the future. The tubs are branded with some telltale snowflakes and the slogan ‘simply having a chocolatey Christmas time’ to indicate the big portion of buttons should be held for the Christmas season, but let’s be honest, there’s still over two months to go. I don’t think they’re going to last that long. The delightful product was shared by the Instagram account @instafoodietwins just yesterday, so hopefully the shelves won’t have been cleared out by Maltesers fans just yet and you’ll still have time to grab a tub of your own! Just to give more of a perspective on how good of a deal the tub of chocolates is, I’ve done some maths for you. I sincerely hope it’s correct. A normal packet of Maltesers buttons contains 32g of the little bites of deliciousness, and will set you back 60p. That means buying the 400g tub is the equivalent of buying 12 and a half packets. If you bought 12 and a half packets, it would cost you £7.50 – but the tub only costs £4. It’s a bargain! 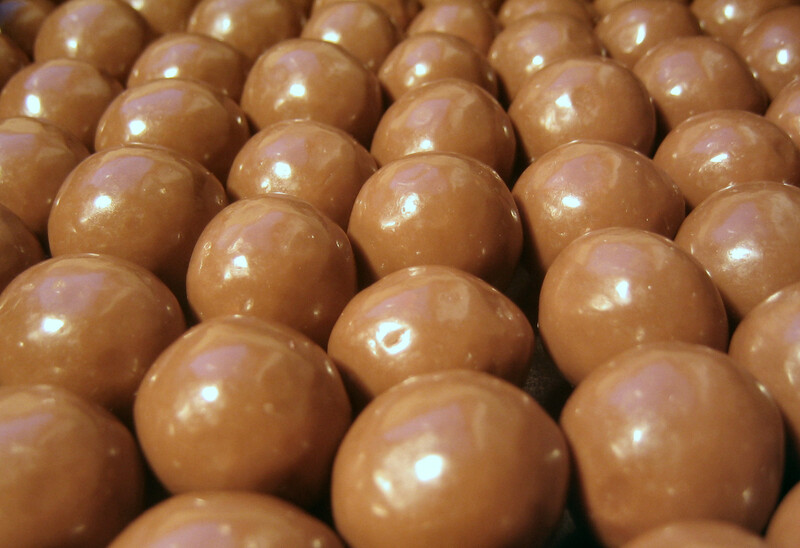 Maltesers fans are understandably overjoyed with the news and flooded the comments section on the Instagram post. Don’t waste any more time reading – get yourself to Tesco! Emily Brown first began delivering important news stories aged just 13, when she launched her career with a paper round. She graduated with a BA Hons in English Language in the Media from Lancaster University, and went on to become a freelance writer and blogger. Emily contributed to The Sunday Times Travel Magazine and Student Problems before becoming a journalist at UNILAD, where she works on breaking news as well as longer form features.